By 2050, the world’s population will reach 10 billion and, as a result, the fruit and vegetable demand will amount to 3.5 billion tonnes, which is 900 million tonnes more than today. The population is expected to concentrate more and more in large metropolitan areas, whereas crops will need to have cultivation systems capable of generating higher yields through intensive crop cultivation. This will be achieved mainly by growing crops in “climate controlled environments”, which are less susceptible to risks associated with a growing number of harmful pathogens and climate change. This premise is the starting point for the double initiative dedicated to the horticultural revolution of Cesena Fiera, which during the 36th edition of Macfrut – to be held from 8 to 10 May in Rimini – will address this topic thanks to the Greenhouse Technology Village and an international conference entitled “The future of greenhouse farming and greenhouse farming in the future”. In addition to this exhibition, an international conference is also scheduled for Thursday 9 May. During the event, organised with the scientific cooperation of Cecilia Stanghellini of the Greenhouse Horticulture Unit of Wageningen University & Research (WUR), trends in horticultural production for the European and global fresh produce market will be examined, as well as the latest trends in production technology. Speakers from the Netherlands (Cindy van Rijswick, Fresh Produce Analyst at Rabobank), Spain (Roberto García Torrente, Director Innovación Agroalimentaria Cajamar, Almeria), Morocco and Eastern Europe (Paolo Battistel, Ceres) will share their experiences. 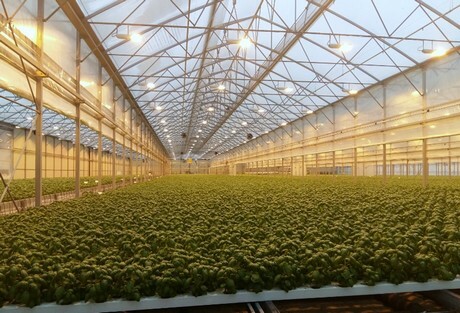 These countries have invested in new above ground production techniques (substrate, NFT systems, Floating System, climate control and artificial lighting in greenhouses, etc.) and are now leading players in the global vegetable market. An overview of the strengths and weaknesses of the sector in Italy – which is now exploiting the benefits of renewable energies – will be provided. 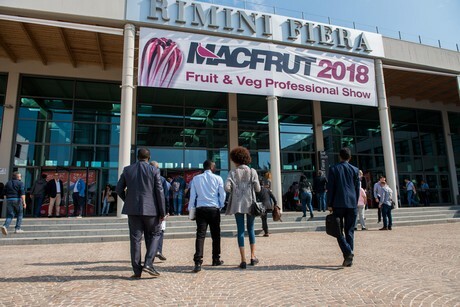 This topic will be addressed by Stefania de Pascale (University of Naples), Giorgio Prosdocimi Gianquinto (University of Bologna) and Massimo Lucchini (Idromeccanica Lucchini), followed by a round table on “What is necessary to make Italian greenhouse farming future-proof?”.